Hard work and determination has allowed The Rod Glove Pro Staff and LBAA 2013 Angler of the Year, Debbie Chadwick Warner success. Debbie was born and raised on Kentucky Lake and got out fishing with her Dad at an early age. Her father is a commercial fisherman so fishing is in her blood. Even Debbie's family is involved with fishing and she married her husband during a bass tournament. Although they continue to fish many local couple tournaments together, her husband encouraged her to join the Lady Bass Angler's Association. The Lady Bass Angler Association was created by women that wanted to fish and become pro anglers while supporting other women in the sport fishing community. Debbie started fishing with the LBAA was it was first formed and over the past six years the association has started to grow. It allows women the opportunity to tournament fish and anyone is welcomed with a paid membership and tournament fee. The tournaments have both female anglers and co-anglers and gives everyone a chance to learn something from each other. 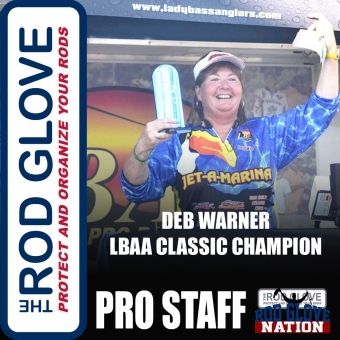 Through the LBAA, Debbie has fished many tournaments and has been fortunate to win several of the events against some of the best female tournament anglers. Debbie has overcome many obstacles on the water including being struck by lightning and fishing with knee injuries but her hard work and perseverance has allowed her to make it to the weigh-in in countless tournaments. While pre-fishing with a knee injury for an event on Lake Chickamauga, the day had started off with the sun shining. Those rays of sun quickly turned to clouds and in no time her and her husband were struck by lightning. Luckily they were okay and quickly got rescued off the water but the lesson has stayed with her to not trust Mother Nature. Despite the set-backs, Debbie was able to finish the season as Angler of the Year in 2013. Debbie can be found on the water in her free time fishing with her husband and she maintains a busy lifestyle with working as a licensed nurse and also as a sales rep selling boats. She uses The Rod Gloves almost daily to protect her rods and to keep her gear from getting tangled. 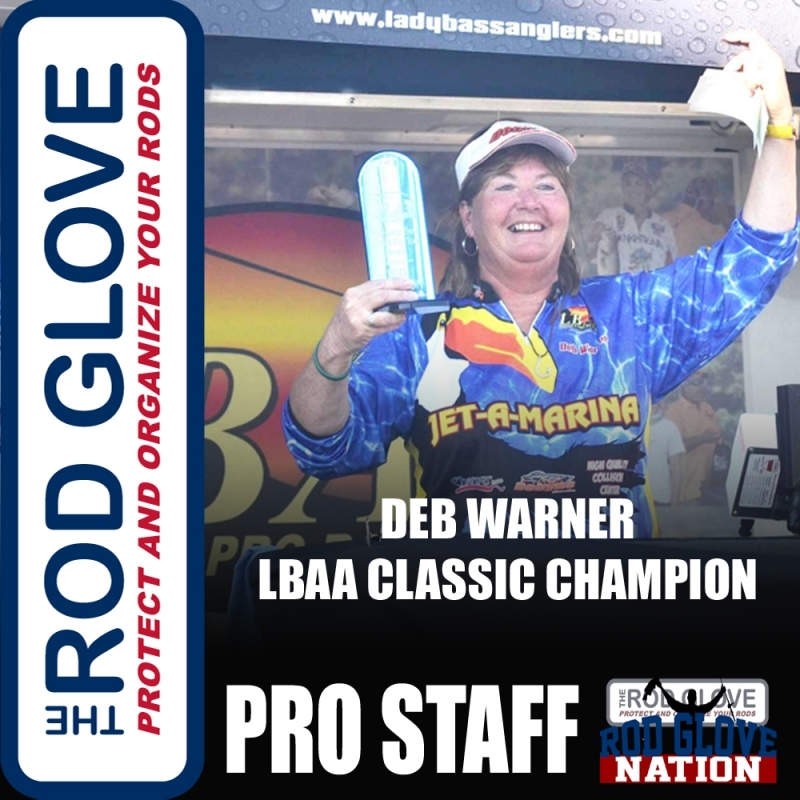 The Rod Glove wishes both Debbie and all of the female tournament anglers at Lady Bass Angler Association a great year. Debbie's moto is "Live, Really Live! Don't just be alive!!!"